A dental veneer is a thin shell made of porcelain that is designed to fit over your natural tooth structure. Veneers can repair one or two teeth, or completely change the appearance of an entire smile. It typically takes two to three appointments and two to four weeks to complete your veneers as they’re sent to a professional dental laboratory to be fabricated. Issues such as gapping or spacing, fractures, discoloration or staining, chipping, and wear can all be repaired with dental veneers. Veneers offer many benefits to patients such as strength and longevity. Because veneers are bonded directly to your tooth, they make your tooth stronger. Veneers are also very durable and can last for many years with the right home care. Veneers can enhance the color and appearance of your smile and they will not stain or discolor; however that being said, they also don’t respond to whitening gel. Be sure to discuss your goals and desires for your smile prior to veneer treatment so you can ensure that your smile is the shade you want. 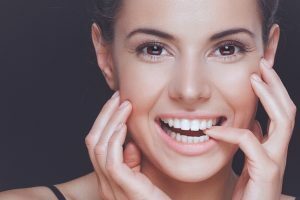 If you’d like to learn more about veneers and determine if they’re right for your needs the first place to start is a consultation with your dental provider. With an examination and a discussion about your goals for your smile your dentist can let you know if veneers will work for you. They can make recommendations as to how many and which shade may be right for you so you can make an educated decision for your oral health. Cayo Dental Care has been improving smiles in St. Peters, Havester, and Chesterfield for over six years now. Dr. Krista Cayo has advanced training and experience in working with porcelain veneers to restore and enhance her patient’s teeth and give them the smiles they’ve always dreamed of. If you’re not happy with your smile, contact our office to schedule an appointment with Dr. Cayo and learn more about how we can improve your smile.